Imagining a Great Movie Going Experience! As always, the holiday week between Christmas and New Years was filled with lots and lots of family activities, eating, going out, and just generally having fun. One activity that I always look forward to is catching up on the long list of movies that I never seem to get around to. This includes older movies that I never managed to see and of course, hitting the theatre and seeing the new releases. As part of this year’s movie going activities, I checked out a new theatre that I learned about, from of all people…my daughter. For many years, there’s been a move theatre at the Promenade mall…known as Rainbow Theatres. The facility has recently been re-branded as Imagine Cinemas, and renovated….for the better! All the seats are now very wide recliners, lazy boy style, which allow you to lean back, with the front popping up so that you can put your feet up, as well. The seats also have cup holders for your drinks and plenty of space for you to lounge in. 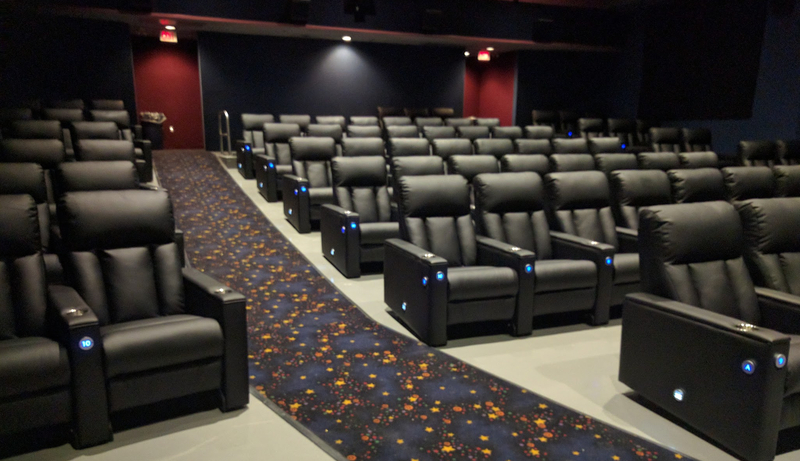 All the old seats have been replaced with these new ones, so each theatre now only has about 40 seats. You get way more privacy, space and to top it off, it’s super comfortable to watch a movie. In addition to the comfy seats, the tickets there are also less expensive than other theatres, with children costing $8.00 and adult tickets costing $11.00. The concession snacks are also a little less expensive than other theatres. Finally, I found the employees to all be super friendly, polite, and professional. During my visit, they were always cleaning, restocking, and hustling around. Overall, my first visit was an excellent experience, and the movie (Coco – if you haven’t seen it, run to your nearest Imagine Cinemas!) was great as well. I highly recommend checking out the theatre for a reasonably priced outing and a comfy movie experience!